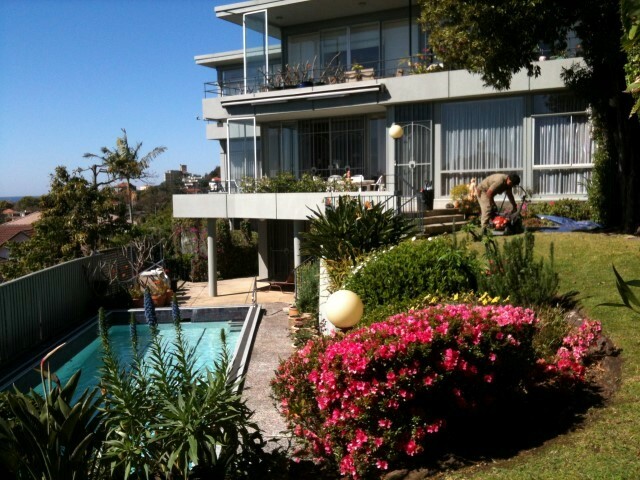 One of the premium gardeners in the Eastern Suburbs Sydney, Amico receives many requests to help clients create a beautiful, contemporary garden at their home. A garden is a beautiful extension of your home, in the summer it becomes an extra space for you and your family to enjoy, and from inside of the home, it is a living art piece to view and appreciate. 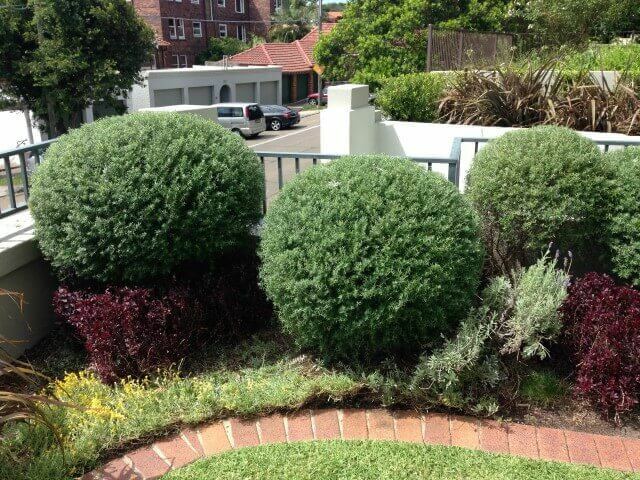 A beautifully designed garden can also improve the value and your overall enjoyment of your home. Garden improvements and landscaping can be a great DIY project, but sometimes you need a little help with the planning and execution, especially when trying to design a more contemporary garden. What are the new features? Latest design trends? How best to make use of your own space? 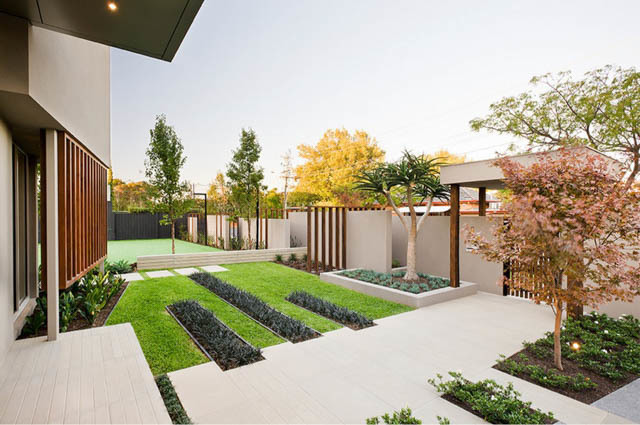 Amico are experts at landscaping Eastern suburbs homes, and we’ve listed here five of our favourite contemporary landscaping ideas that you can try when building your own modern garden. And if you need help with any of these, give us a call, we’d be happy to help you with adding any of these features to your modern garden. There is nothing more soothing and relaxing than the sound or sight of moving water. 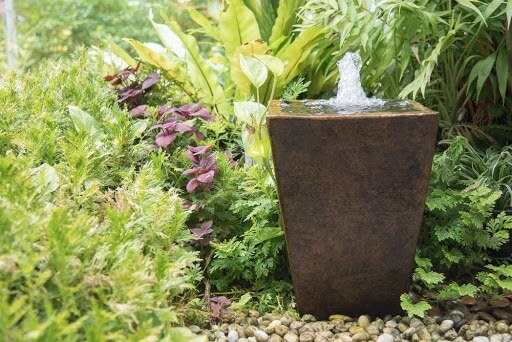 Water features can come in all shapes and sizes, which can be a great addition even to those smaller spaces. People often ignore water features in smaller spaces assuming they won’t have room, but this isn’t necessarily true. There are plenty of options available for all garden spaces, and adding them can give your garden space a wonderful visual lift. Water features come in all shapes and sizes, meaning that even those with smaller spaces can consider adding a water feature to their garden. 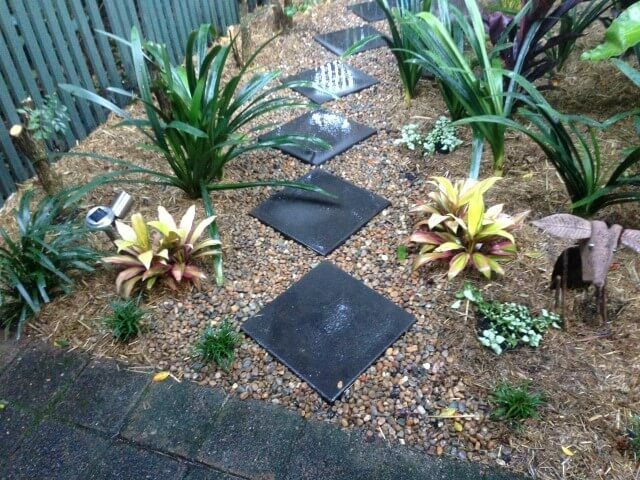 While it can be a fun time consuming DIY project, it is also recommended that you receive professional assistance to design and install a water feature to ensure the right positioning and set-up for ease of maintenance. 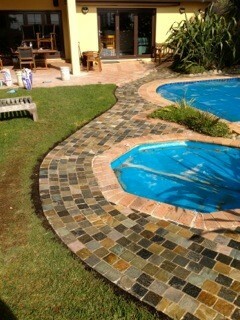 Creating or revamping an existing pathway is a great way to spruce up your garden with a new look. 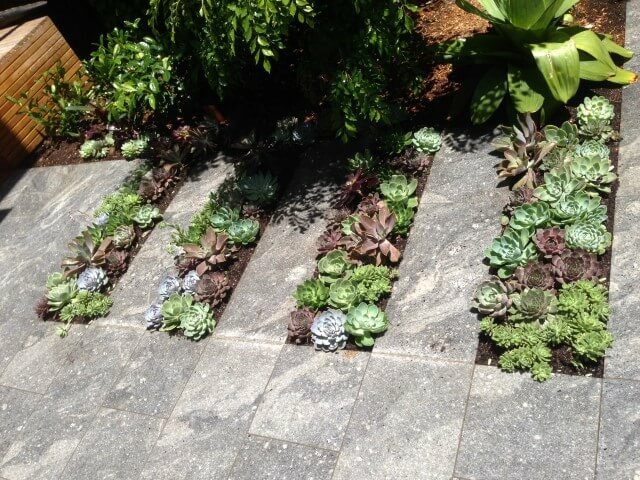 Get adventurous and avoid using straight lines, and enhance the look by adding some borders around the path with plants. Pathway lighting is also a great way to give an elegant look at night and aim for stone or wood as your pathway materials. If you have the space for it, a stylish terraced area is excellent for entertaining and of course, their stunning look. There are things to consider, however, like whether you will use it as a functional place to dine or relax, or something visual as a backdrop. You will also want to consider the size and which materials you want to use. Once you’ve got your terrace designed, adding borders, lighting, edging and various angles to really help to make a terrace area a great modern contemporary space. 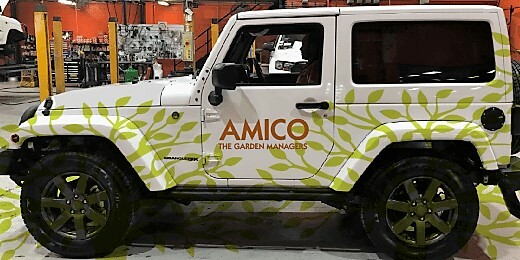 As the landscape designers Sydney often turns to, Amico knows all of the design tricks, so ask us if you have any question. Decking is a very popular design choice as it is relatively easy to install and the expansive look of wood gives a great feel to your garden. It also creates more practical functional space for people to enjoy, but does require maintenance to ensure you get long-lasting value from the addition of your decking space. Decking is a very popular design choice as it is relatively easy to install and the expansive look of wood gives a great feel to your garden. 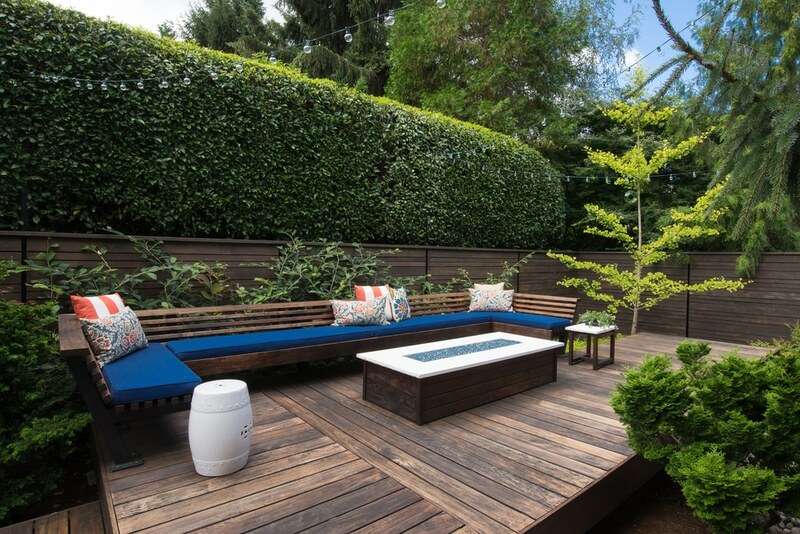 Decking is stylish, and a raised deck with potted plants and lighting is a tough look to beat. If you have a smaller garden, rockeries are a great focal point and use of space. 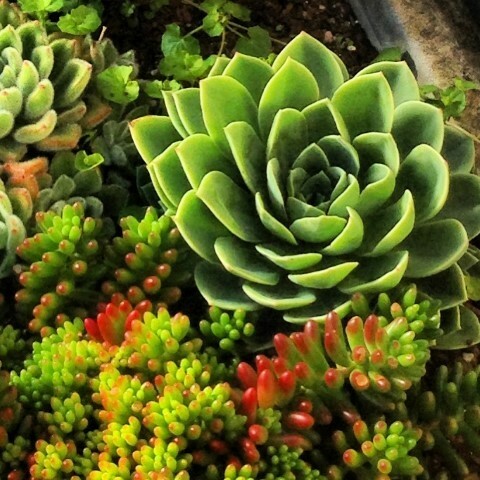 They add texture to your garden and work exceptionally well with coloured plants. It’s also important to keep in mind that landscaping isn’t just about planting. 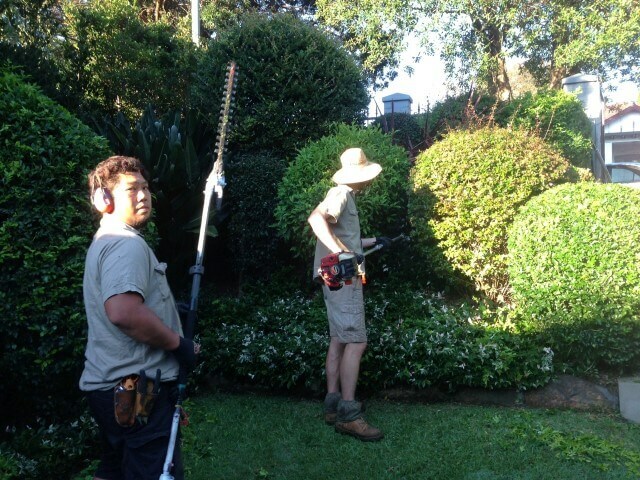 Hard landscaping, which often requires help from professionals, is a great way to raise the bar for your modern design. Introducing steps or walls is an effective way to get a lot more out of your space and create a great look. To try these ideas or any other modern contemporary design your are imagining, give Amico a call today. 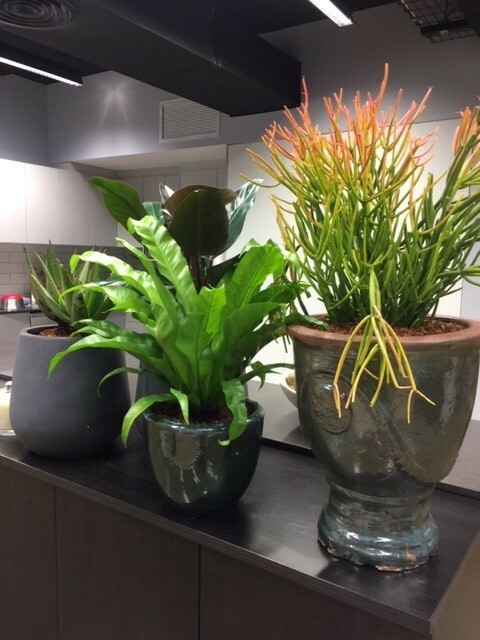 From the courtyard of an office building to the garden of your home, Amico knows how to create a beautiful garden that brings joy into your space. 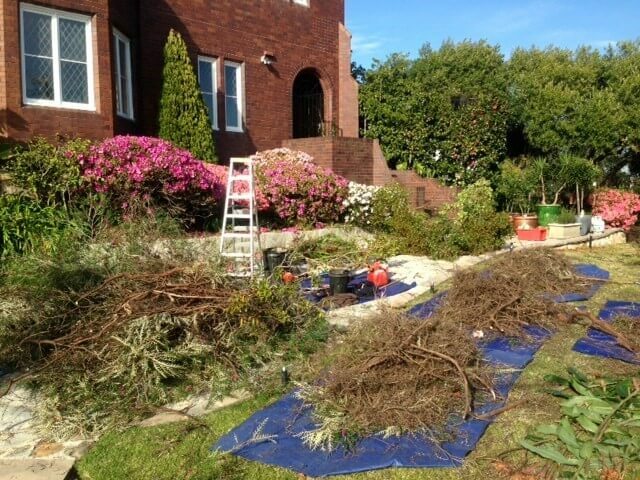 Our landscaping and garden maintenance specialists service the Eastern Suburbs with the goal of designing the green space of your dreams. Contact us today about creating or revamping your garden, and let us show you how easy it can be to get the most out of your garden space today!